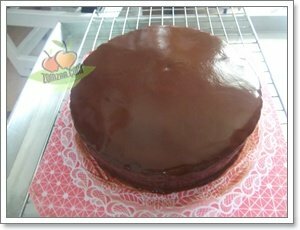 Today I have a free time and want to eat about chocolate cakes so choose the one best chocolate cake recipes , the chocolate fudge cake. One look at this scrumptious layer cake makes my mouth water. Chocolate lovers will scoop this up pretty quick so ensure you grab a piece before it’s all gone. Preheat the oven to 180˚c/350˚F/; Grease two 20-cm/8-inch sandwich tins and line with baking paper. 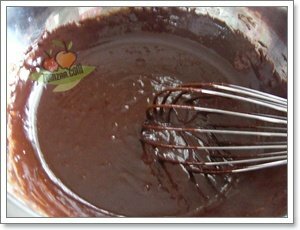 To make the icing, place the chocolate, muscovado sugar, butter, evaporated milk and vanilla extract in a heavy-based saucepan. Heat gently, stirring constantly, until melted. Pour into a bowl and leave to cool. Cover and chill in the refrigerator for 1 hour, or until spreadable. For the cake, place the butter and caster sugar in a bowl and beat together until light and fluffy. Gradually beat in the eggs. Stir in the golden syrup and ground almonds. Sift fold into the mixture. Add a little water, if necessary, to make a dropping consistency. Spoon the mixture into the prepared tins and bake in the preheated oven for 30 – 35 minutes, or until springy to the touch and a skewer inserted into the center comes out clean. Leaver the cakes in the tins for 5 minutes, then turn out onto wire racks to cool completely. When the cakes are cold, sandwich them together with half the icing. Spread the remaining icing over the top and sides of the cake, swirling it to give a frosted appearance. This recipe is a great alternative to a chocolate layer cake. Chocolate fudge cake is ready for picnics, potlucks and parties, Enjoy it !